Remove the chain (see page em-22). Remove the 3 bolts, oil pump and gasket. 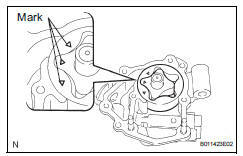 Remove the 2 nuts, oil pump strainer and gasket. Using a 27 mm socket wrench, remove the plug. 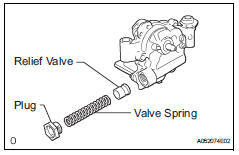 Remove the valve spring and relief valve. 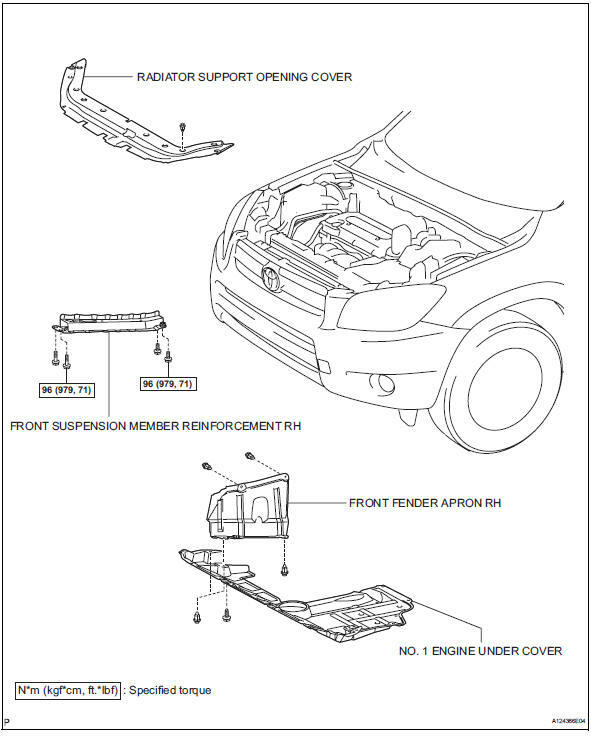 Remove the 5 bolts and oil pump cover. Check the oil jet for damage or clogging. If necessary, repair the cylinder block. Coat the valve with engine oil, and then check that the valve falls smoothly into the valve hole by its own weight. 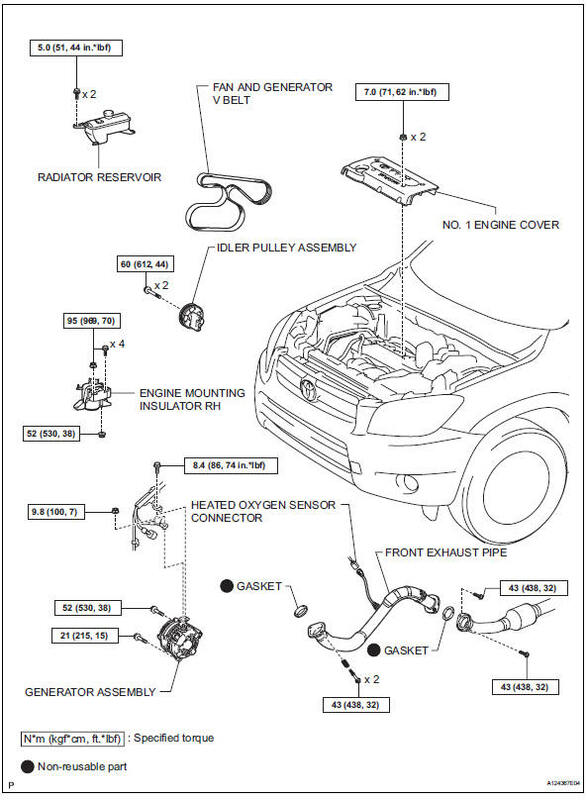 If it does not, replace the relief valve. 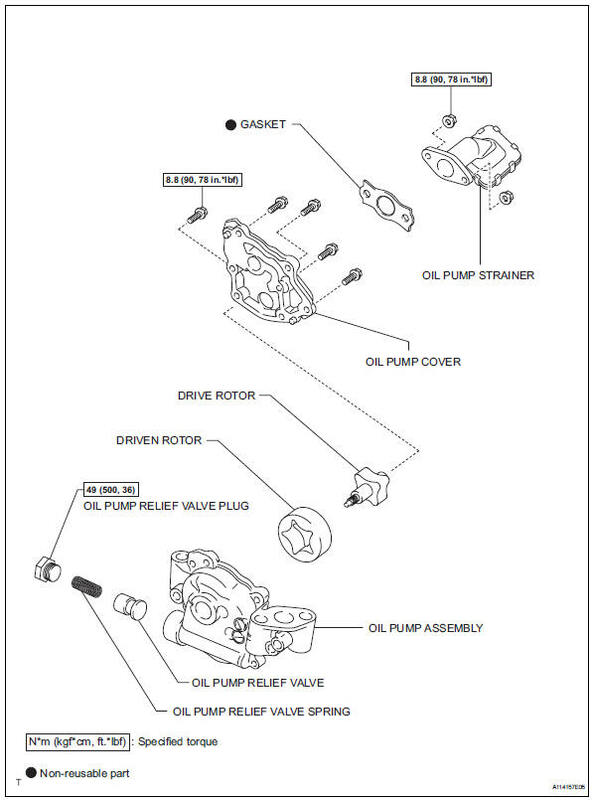 If necessary, replace the oil pump assembly. 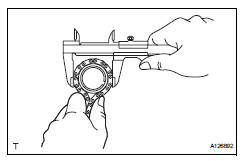 Using a feeler gauge and precision straightedge, measure the clearance between the rotors and precision straightedge. 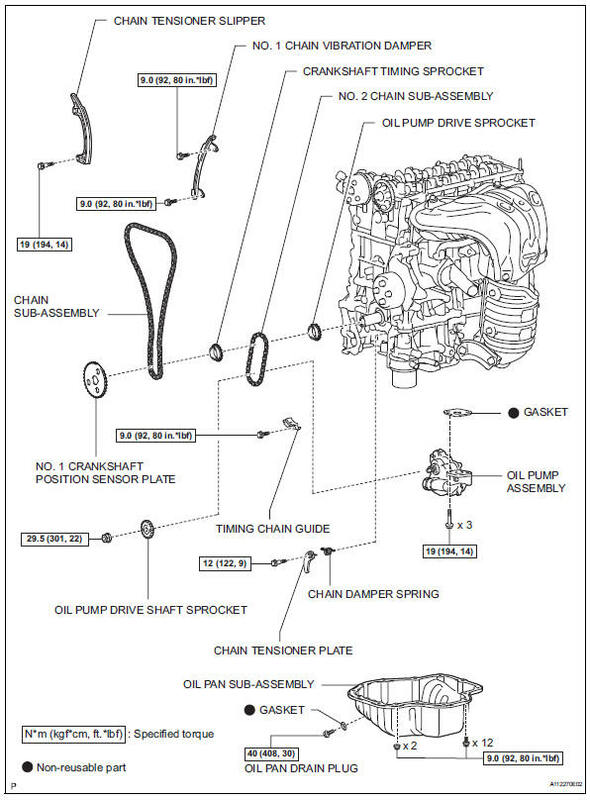 If the side clearance is greater than the maximum, replace the oil pump assembly. Using a feeler gauge, measure the clearance between the drive and driven rotor tips. 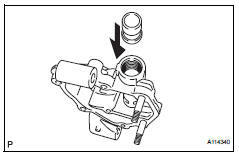 If the tip clearance is greater than the maximum, replace the oil pump assembly. 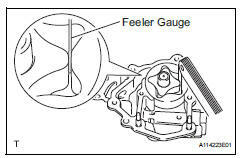 Using a feeler gauge, measure the clearance between the driven rotor and pump body. 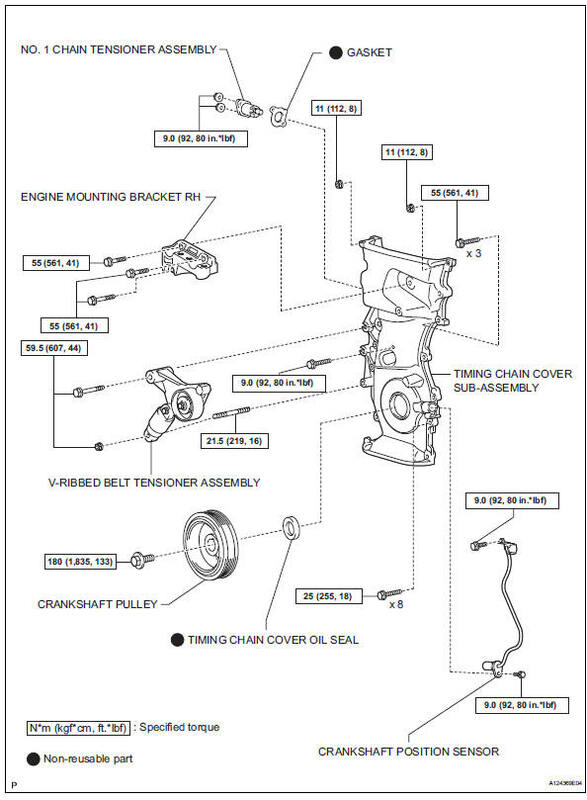 If the body clearance is greater than the maximum, replace the oil pump assembly. 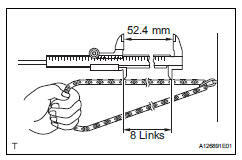 Using vernier calipers, measure the length of the 8 links with the chain fully stretched. If the elongation is greater than the maximum, replace the chain. Make the measurements at 3 or more places selected at random. Wrap the chain around the oil pump sprocket. Using vernier calipers, measure the sprocket diameter with the chain. Vernier calipers must contact the chain rollers when measuring. If the diameter is less than the minimum, replace the chain and sprockets. 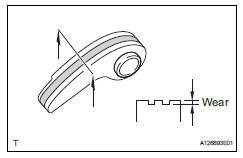 Measure the chain tensioner plate wear. 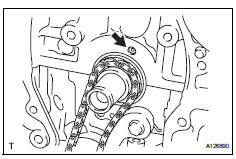 If the wear is greater than the maximum, replace the chain tensioner plate. Coat the drive rotor and driven rotor with engine oil. Place the drive and driven rotors into the oil pump with the marks facing the pump cover side. Install the oil pump cover with the 5 bolts. Coat the relief valve with engine oil. Insert the relief valve and spring into the pump body hole. Using a 27 mm socket wrench, install the plug. Install a new gasket and the oil strainer with the 2 nuts. 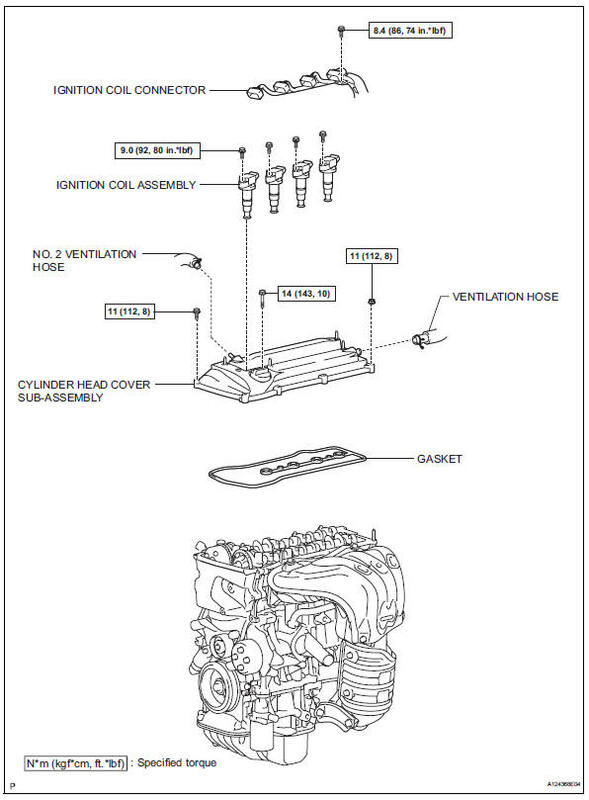 Install a new gasket and the oil pump with the 3 bolts. Install the chain (see page em-32).